In the summer of 2017, I had the amazing opportunity to intern at Walt Disney Animation Studios as a modeling intern. Together, with the help of our wonderful mentors, the production interns created this original short. 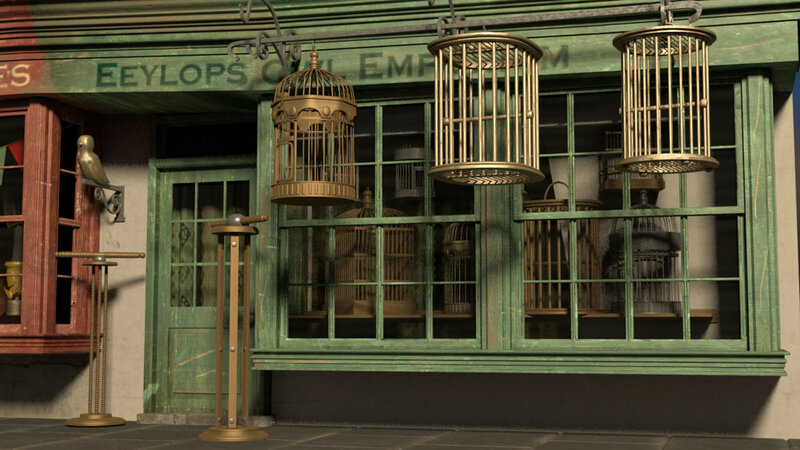 I was head of modeling and set dressing for the character and environment. I also assisted in lighting and compositing some of the shots. A story of a little mouse and his quest to make the perfect bookshelf. This is my Junior Year Mini Thesis done in 5 weeks with a 6 person team. For this project I helped develop the story as well as being responsible for environmental modeling, character and environment texturing and shading, lighting, compositing, and rendering every shot with separate custom passes. I learned a lot through the project when it came to pipeline and creating a story from start to finish the proper time management and workflow. Programs used: Maya 2017, Mari, and Nuke. After Effects and Premiere Pro for final editing. In this project I learned how to shoot in order to place a 3D element onto a 2D plate. I then used 3D Equalizer for tracking and PTGui to create an HDR for lighting and reflections. I modeled and shaded the easel to try to get it to fit into the space using Maya, taking the design from the original easels in the space. After rendering out passes, I comped and color corrected in Nuke. I really enjoyed taking my love of modeling and incorporating it into a live action shoot. In the summer of 2016, I had the amazing opportunity to intern at Muse Games in New York City. There I was responsible for environmental modeling as well as assisting in character modeling, set dressing, and level design for an upcoming mobile game, Hamsterdam. I also got the opportunity to learn more about low-poly modeling, Unity, the game pipeline, as well as work with an amazing art team. A 5 week project done by my amazing partners, Derrick Forkel, Jack Szynaka, and myself. Interior of a train set in the 1940s. 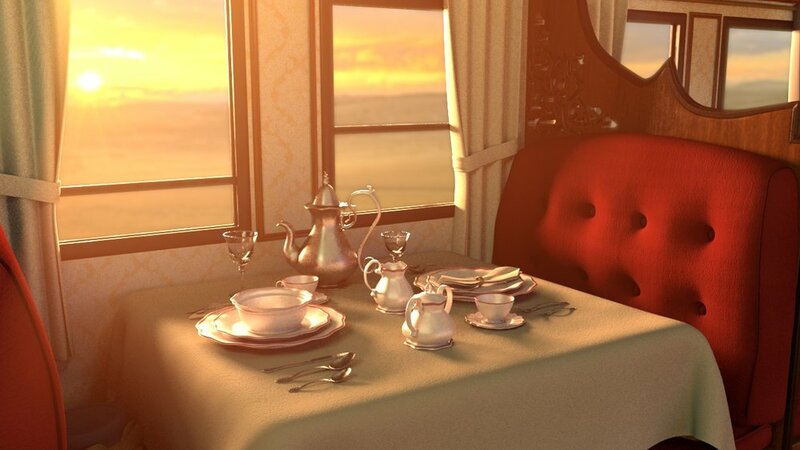 With my two partners (Derrick Forkel and Jack Szynaka), we were able to create the interior of two train cars. I was responsible for particle prop modeling, which also involved research to make the piece as authentic as we could. I was also responsible for all set dressing and compositing. 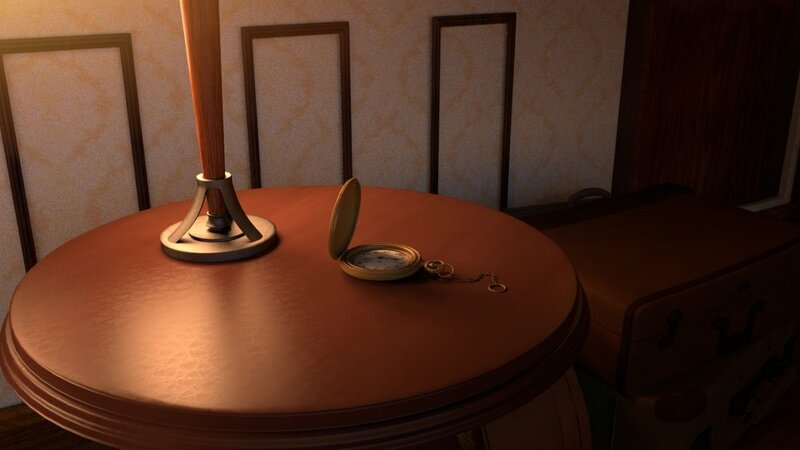 All modeling and set dressing was done in Maya. I learned Nuke in order to composite all the shots of the piece. 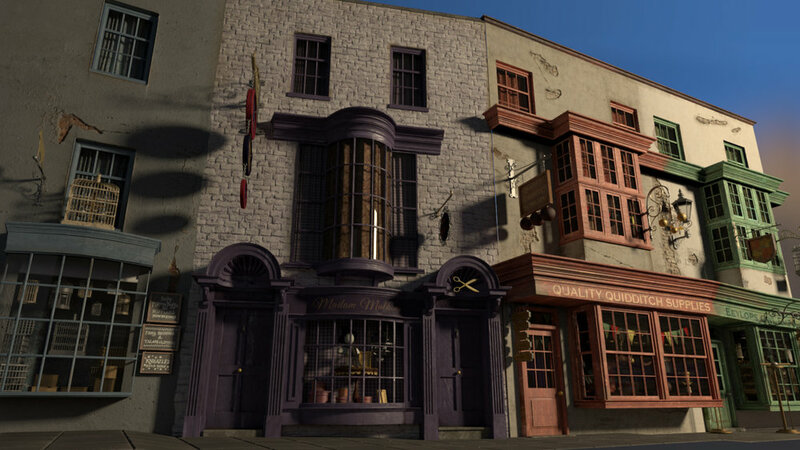 With my partner (Derrick Forkel), we were able to recreate Harry Potter’s Diagon Alley. We really wanted to push attention to detail for the modeling and texturing. 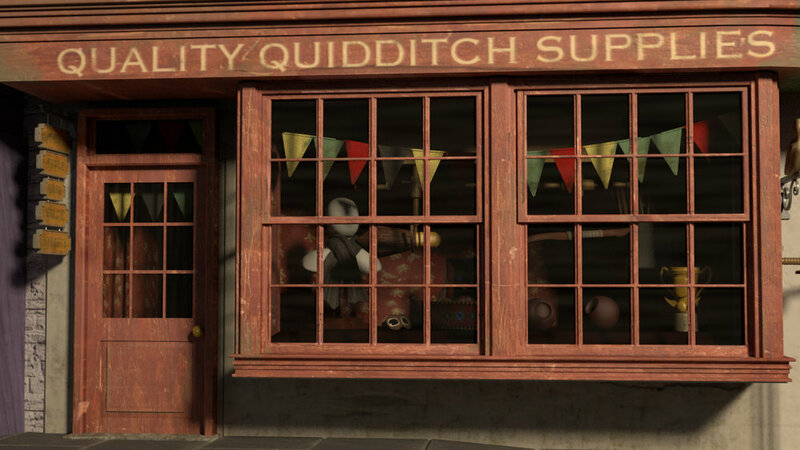 I was responsible for all prop and sign modeling and texturing, as well as all set dressing. All modeling was done in Maya. For the project, I learned Mari in order to push my texturing a bit more. I also used a little bit of Photoshop to hand draw some of the signs. This was one of my first major modeling projects done in two weeks. We were required to model a scifi corridor. To make it more interesting, I wanted to create an original layout for the piece. I also used this project to learn about procedural shading and texturing. I created custom bump and specular maps, done in Photoshop. All modeling was done in Maya.